Like every year, Eaglenest Sanctuary micro climate brings blooming flowers a few weeks later than Victoria or Shawnigan Lake. But bloom they must and the beauty of the season is in full swing right now. 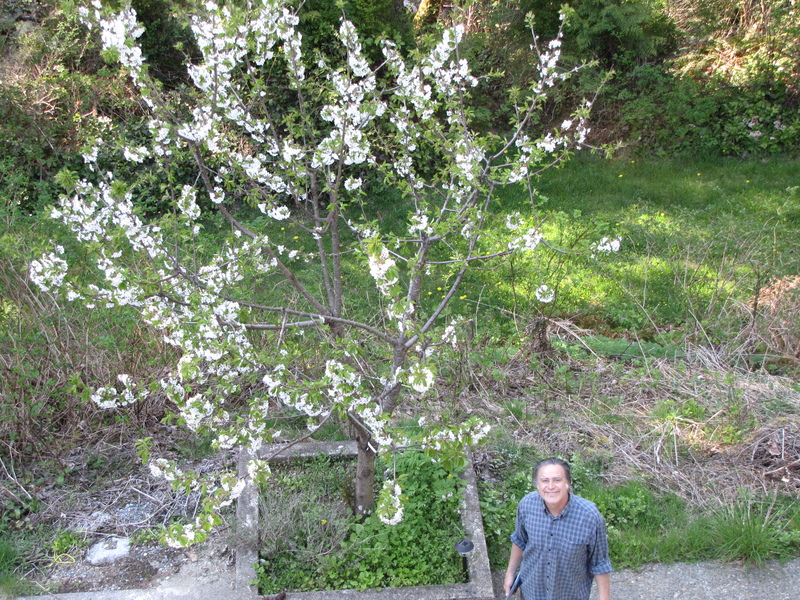 This cherry tree (five varieties) was planted 5 years ago. The Sanctuary has a history of not being conducive to growing fruit trees. So I chose a special area, for it to grow. After waiting for five years, the tree bloomed profusely in early May and is now full of young cherry’s for late June consumption, maybe a homemade jam? There has been some controversy regarding the guardian of the medicinal garden. Originally we thought it was Shiva, but some people who know have told us it is a Balines guardian. 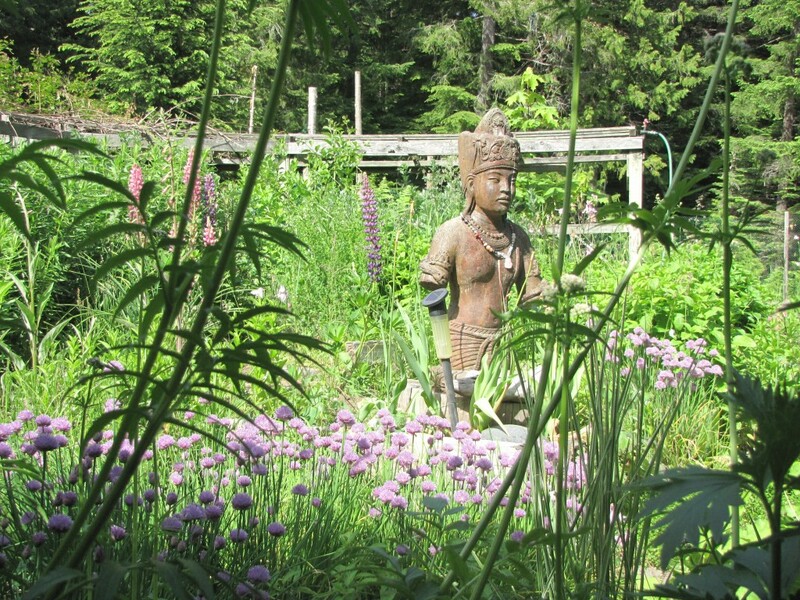 The chives flowers adorn the guardian and have provided much herb spices for the kitchen of the Sanctuary’s guests. A wider view of the medicinal garden gives us a better understanding of the many (more than 50) varieties of medicinal plants. I harvest the plants to make medicinal tinctures for me, my family and friends. 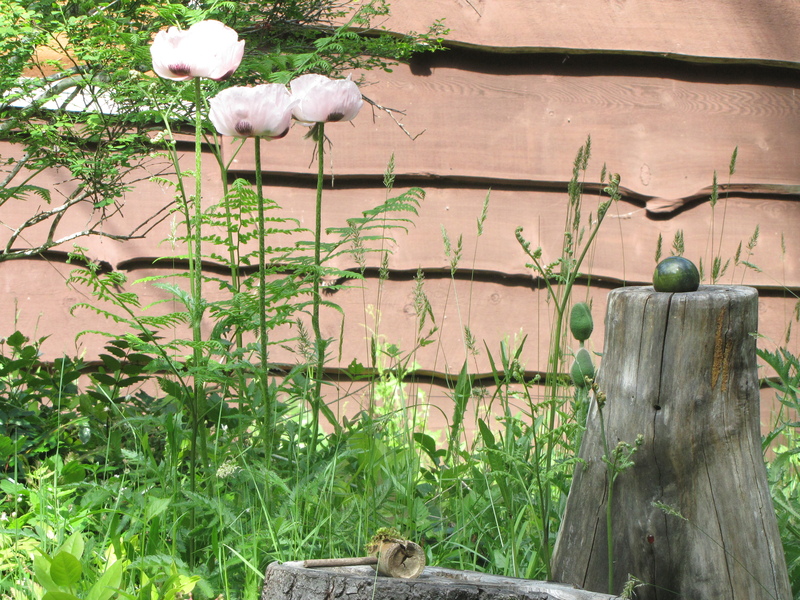 Here we can see the Green Godess with three new pink poppies, the first year they have grown here. 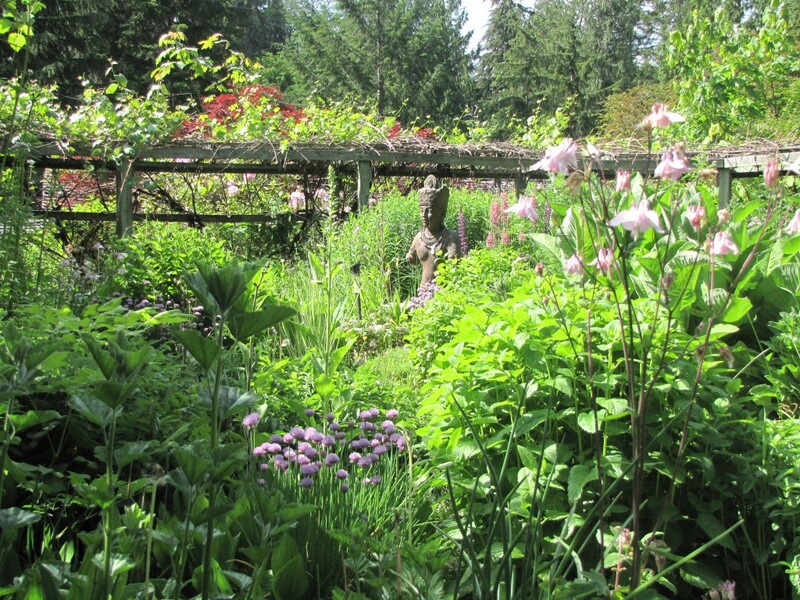 Come stay with us and enjoy the many gardens and flowers, both local and cultivated that the Eaglenest Sanctruary provides for your enjoyment.